Laura comes to LEV as the Interim CEO from over 25 years in nonprofit and policy management. 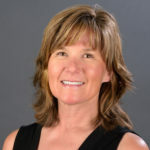 As a consultant, she has worked with Jan Glick & Associates to help strengthen organizational clients’ external, internal, and strategic focus, as well as provide strategic clarity to coalition and multi-organization initiatives, including facilitating the formation of the Early Learning Action Alliance. Recent consulting engagements include facilitating Brave Conversations – a convening of over 25 youth services provider agencies to envision a better approach to serving youth, and strategic clarity work with behavioral health, substance abuse treatment, and cancer research organizations. An attorney by training, she has also served as Policy Director of the United Way of King County, and Executive Director of the WA Public Health Association. She has also spent over 10 years working in local governments in the Seattle area, with a strong focus on policy research and policy advocacy to address equity in population outcomes. A public school graduate from a family of teachers, she is the proud parent of two Seattle public school students and has been active in PTA and other district-level work in Seattle. For fun, she likes to get outside, travel, and to sample many of the new eateries popping up in the ever-changing region. Nancy joined the League of Education Voters in 2012, after brief stints at Historic Seattle and Washington STEM and after several years at the New School Foundation. Through her work at NSF, she was part of the team that built the Rainier Beach Children’s Garden at South Shore School. 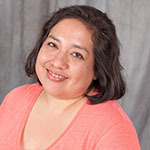 Her personal involvement in public education includes being a PTA Board member, serving multiple roles, from Legislative Liaison to President, at Olympic View Elementary in Seattle. Nancy is a product of local public schools (Go Kangs!) and earned her BA in English at UCLA and her master’s degree in public administration at Seattle University. Nancy volunteers at SHINE, a retail store located at SCCA House whose proceeds benefit patient programs at Seattle Cancer Care Alliance. She lives in north Seattle with her husband and two teenage children. She enjoys going to their athletic and musical events, exercising, traveling, and camping, especially in Hawaii. She is an avid reader. Sandra Jarrard is originally from western Washington; she and her family moved to Spokane in 2004. Prior to working for the League of Education Voters, Sandra worked for Greater Spokane Incorporated. As their Director for Public Policy, Sandra worked with education, higher education, business, and community leaders to accomplish policy changes and to advocate for funding for regional priorities. 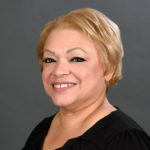 Sandra received a Bachelor of Science from the University of Washington, and a Master’s Degree in Public Administration for Eastern Washington University. In her free time, Sandra enjoys spending time with her family and loves to train for marathons. Ruvine joined the League of Education Voters in 2014. Prior to that, she participated in Early Achievers Institutes in Spokane and Yakima to receive training in the Early Childhood, Infant & Toddler, and Family Child Care Environment Rating Scales and became a pre-K-certified reliable observer on the Classroom Assessment Scoring System. She attended these institutes while also taking Columbia Basin College’s Child Development Associate (CDA) course and volunteering with AARP’s Tax-Aide Program in her community. Ruvine worked for Benton Franklin Community Action Committee (BFCAC) in Pasco for 14 years in various positions. Most recently, she was instrumental in helping BFCAC exceed Healthplanfinder enrollment goals in Benton, Franklin, and Walla Counties by training more than 100 individuals to become certified navigators (in-person assisters) for Washington Healthplanfinder. Ruvine also served as BFCAC’s Child Care Support Services Director, where she oversaw the Child and Adult Care Food Program, Homeless Child Care Program, Child Care Resource and Referral Program, Seasonal Subsidy Child Care Program, and STARS training, and developed a close working relationship with childcare providers. Ruvine has 6 children and 12 grandchildren. She lives with her dog, two parakeets, cat, three daughters, and five grandchildren. She loves sharing new lessons she’s learned with her family, on topics such as early learning, social and emotional development, gardening, reading, and about her community. 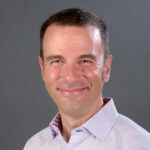 Arik Korman has worked in Seattle media for over 20 years with KING, KIRO, KZOK and KJR, most notably as Executive Director of The Bob Rivers Show. He currently hosts his own interview program on iHeartRadio. Arik earned a Puget Sound Radio Broadcasters Association Soundie award for his partnership with World Vision, which has resulted in nearly 5000 children sponsored around the world and annual donations of more than $2M for projects such as education, clean water, food security, and medical care. Education is in his DNA, as his mother and sister are teachers, he has a son in public elementary school, and he views education as the single greatest catalyst for change in society. Arik recharges by playing tennis and ultimate frisbee, hiking, board gaming, traveling, and enjoying Washington wine. Angela Parker (Mandan, Hidatsa, Cree) joined LEV in Spring 2017. 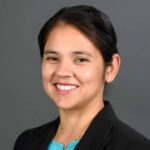 Before joining the staff as a Policy Analyst, she worked briefly at the University of Washington Tacoma in Native student support, and for a few years with the Muckleshoot Indian Tribe as Executive Director of Adult & Higher Education. Previous to her work for Muckleshoot, she was an Assistant Professor of Native American Studies at Dartmouth College, where she also had worked as an admissions officer before returning to school to earn her PhD. Her array of experiences in higher education illustrated to her the importance of working to ensure equity in education, so that access to quality education can work as a positive change agent for individuals, families, and communities. Angela attained her BA in US History from Stanford University, and her MA/PhD in 20th Century US and Native American History from the University of Michigan-Ann Arbor (Go Blue!). She is an enrolled member of the Three Affiliated Tribes of the Fort Berthold Indian Reservation in North Dakota, and maintains ties with her father’s tribe on the Rocky Boy Indian Reservation in Montana. Angela spends most of her downtime with her partner Ty, playing Batman or Iron Man with her 5-year-old son Xaxi, or trying to corral him into (a) eating, (b) taking a bath, or (c) getting him to or from his Montessori preschool program. In any spare time, she reads or works on historical research projects of her own. Jacob Vela’s strong desire to get involved in the civic process led him to work in the election cycle in Nevada. That adventure compelled him to work as a legislative assistant in the Nevada Legislature, where he focused on civic engagement and electoral issues. The strong civic culture and beautiful scenery of the Great Northwest managed to lure him away from Nevada. After settling in Seattle, Jacob attended the Evans School of Public Affairs at the University of Washington. 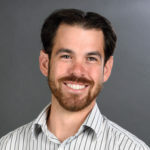 Prior to joining the League of Education Voters, Jacob worked with local nonprofits in strategic planning and working to develop policies to improve the quality of life of formerly homeless individuals in downtown Seattle. Jacob received his BA in political science and Spanish from the University of Nevada. He earned his master’s of public administration from the Evans School of Public Affairs with a focus on policy analysis and urban policy. When not in the office he can be found wandering the Cascades, enjoying Seattle’s parks, honing his skills as a home brewer, or watching terrible nineties action movies. Julia joined League of Education Voters (LEV) in 2015. 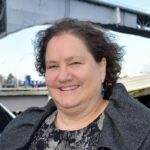 Prior to joining LEV, she worked as a Senior Research Analyst for the Washington State Board of Education, helped launch the Washington State Charter Schools Association, and worked in public policy consulting. Julia is committed to helping create a school system in which every student has access to an education that prepares and empowers. 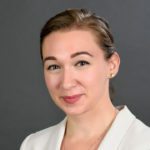 Julia received her Bachelor’s in literature and government from Claremont McKenna College in Southern California and returned home to Seattle for her Master of Education degree from the University of Washington. When she’s not in the office, Julia enjoys playing in the mountains and spending time with her family.